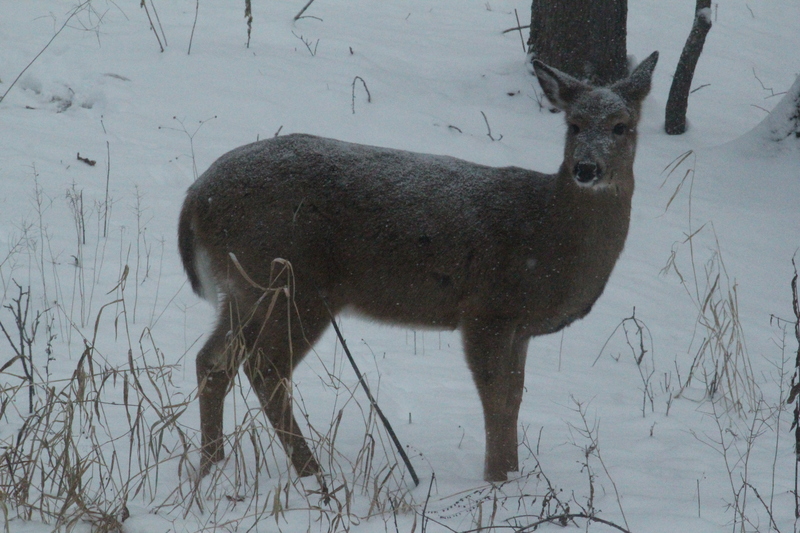 This girl and her friends have been making appearances in our woods behind the house for several days now. They have just awoken to falling snow which has put a dusting over their bodies. That fur must be very insulating that their body heat doesn’t melt the snow. What joy to watch them grazing on dry grasses and frolicking a bit to get the blood moving! It’s a bit dark, but its the best I could do in the early morning dim.